Google was granted a patent this week on offering recommendations or suggestions for places to go for members of social groups. A social group, such as a meetup group that may get together for social events, may use the internet to communicate and interact, and look to for recommendations on where to go next. The patent from Google looks like it might be useful in providing a framework for such a group to make it easier for them to meet at locations and check in at those places and tag one another in photos to associate them with locations that they may travel to. I could see an offering of social suggestions like this being built into an existing social network such as Google+, and wouldn’t be surprised if it was introduced at Google+ by Google. A group recommendation provides end users in a social group a set of recommended destinations based on the combined personal preferences of the members of the social group. Members of a social group are identified using a combination of location based signals and social graph information in response to receiving a recommendation request. The group recommendation may be determined by combining the personal preferences associated with each member of the group into a master preference profile. Alternatively, the group recommendation may be determined by first calculating an individual recommendation list for each member of the social group and then calculating a composite score for each recommendation on the individual recommendation lists. 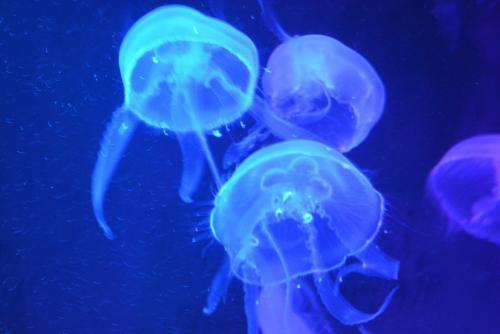 I could see a group that liked visiting places together discussing going someplace together, such as the Birch Aquarium in La Jolla, California. Members of the group could “check-in” at the location when they arrive. People in that social group could tag photos of the location or of people at the location with the location name, so that they could see each other there. A group recommendation for places to go to for lunch or dinner could then be shared among the members of that social group. This would be the “Social where next” described in the patent’s name. These social suggestions sound like it could be a fun element for a community that might involve people who are near each other, or who may do things together at specific locations. Would you use a “social suggestions” recommendation system if Google introduced one? Google is likely to get a patent for anything as its so powerful now. There are lots of people saying that Google’s attempts at building a social network have been failing. I’m curious about the steps that they might take to try to save it. Google did fail when it come to the social aspect, as their DNA is not as Facebook’s. Also it seems that many failed attempts of Google might be because of the number of “Ideas” being actually produced each year. I do believe the future has to do with instant information & Data visualization, which requires AI and big data analysis to give answers. Might be that this patent will be incorporated into Google Maps or Waze, who knows. Very good to see such inventions from those people and thanks Google for giving patents to such innovative ideas.If it is also included in Google+ , it would be great. Google Maps and Waze both appear to have been getting more social, and YouTube is one of the largest social networks ever. I agree Ori, about the growing importance of AI and data visualization at Google; I could see this being tried out to give those things a chance to succeed. It would be interesting seeing Google adopt this idea for use with Google+. I’ve literally just finished reading the patent then saw this on LinkedIn. I think this is a great indicator that Google is moving towards adding helpful information into SERPS. Both the parking indicator and now social search suggestions appear to be excellent additions in my book. I often visit London to meet clients and have spare time after, so would absolutely use this… Probably on a weekly basis! thank you for the article, a very interesting read. social platforms seem to be the main focus of google moving forward, and yes i would use the new feature if introduced. This is actually quite amusing in some sense. The conversational “What do you wanna do? I dunno, what do you wanna do?” has possibly seen its demise! Through the use of a powerful algorithm, and of course an obscene amount of backing data surrounding personal habits, a collaborative “Google says we should do this” could be the social destination best suited to any group. Google’s existing data on reviews and recommendations can all be triangulated back to the person who left the review, further immersing the potential responses to a social group destination request. The accuracy of the recommendations given has the possibility of being extremely accurate. Good informative post to all users.Surely like all google services this one also going to be big . Is this another of Google’s attempt to outdo Facebook? I could see that their Google+ has been failing despite attempts. Great info for social media influencer. Every social media influencer follow the information you given above.